Since the fizzling out of the editorial ruckus that emerged in the world's media outlets after Beijing first announced its plans for the 70th anniversary of the end of the Second World War, Chinese officials felt that conditions were reasonable enough to release a statement on Monday to provide further details. The military parade that was interpreted by some as the action of a nation looking to beat its military breast is still part of the plan, and invitations will still be extended to the leaders of the world's major nations. Of particular concern to observers were the implications for a Sino-Japanese foreign relationship that is not completely settled. Even though Chinese tourists to Japan spent almost a billion U.S. dollars during the 2015 Spring Festival break, the bruises left behind after the Japanese occupation of parts of China have not completely faded away. Tuesday's Reuters report on the matter depicted a "poisoned" dynamic that persists because of "Japan's failure to atone." 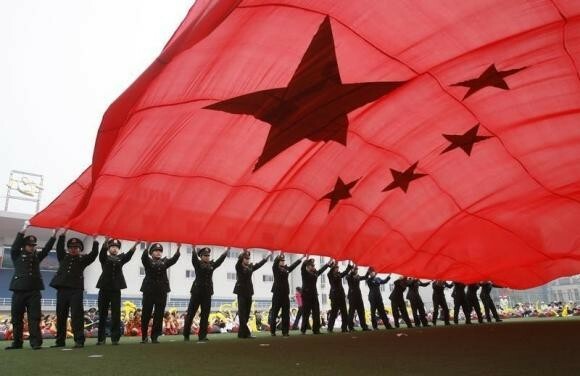 In the eyes of the Chinese, this year's military parade will be conducted in remembrance of the "Chinese People's War of Resistance Against Japanese Aggression in the 1930s-40s." The official surrender was signed by Japan on Sept. 2, 1945, allowing China to claim victory on the following day--Sept. 3 has been celebrated as the nation's victory day since that time. "The parade will remind Chinese people living around the world of the war tragedy and inspire them to strive for national rejuvenation." In contrast to the claims of military breast-beating, a director with the People's Liberation Navy (PLN) explained that the event will show that "China is devoted to safeguarding international order after WWII." However, the date of the parade, which will be President Xi Jinping's first, is still unknown, as Monday's Foreign Ministry announcement only confirmed September as the scheduled month, while also adding a reception and evening gala to the commemoration activity list.